T.N. 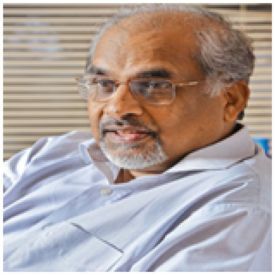 Ninan is the Chairman of Business Standard Ltd. During a quarter century at the helm of different publications, he has been the editor of Business Standard (where he was also the publisher from 1996), the Economic Times, and Business World. He was also the executive editor at India Today. From January 2010, he moved into non-executive roles. He has been President of the Editors Guild of India, Chairman of the Media Committee of the Confederation of Indian Industry (CII), Chairman of the Society for Environmental Communication (which publishes ‘Down to Earth’ magazine), and a member of the Board of Trade. He has served on the Board of the Shri Ram School, and is a member of the Indo-German Consultative Group as well as a Trustee of Aspen Institute India. He is a recipient of many awards including the B.D. Goenka award for excellence in journalism. The Jawaharlal Nehru Memorial Fund awarded him a Nehru Fellowship for 2013 and 2014. He has received his M.A. in economics from the University of Madras in 1972.